Do I Have an Industrial Accident Case? If you've been injured in an industrial accident, contact us now. It's extremely important that you don't hesitate, because valuable evidence can be lost after an accident. We'll make sure that doesn't happen. We'll gather the details of your case and determine your claim. We'll fight to get you the money you deserve. Our legal professionals are available 24/7 to answer your questions. It's absolutely free, and there's no obligation to use our services. Call us now at 1-866-943-3427 or fill out our free online legal consultation at the top right of this page. If you've been injured on an industrial site, we'll tap into every available resource to get you all the money you deserve. Depending on the details of your case, you could have a personal injury, workers' compensation, or Social Security Disability claim – or a combination of all three. We have over 35 years of experience and success dealing with injured clients. We're here to help you. We'll handle the paperwork and pushy insurance companies, so you can relax and feel better. That's our hassle-free guarantee. We will help you understand the confusing, complex nature of the laws surrounding your injury. 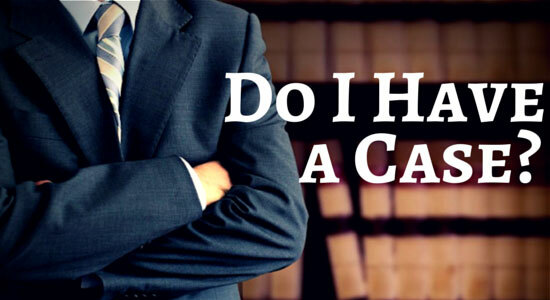 If you hire our attorneys, we'll help you file your claim and explain the process every step of the way. We'll help you take control of your situation and recover the compensation you deserve. We help our clients put their lives back together. This includes getting the money you'll need for yourself and your family. We'll consider your future medical costs and needs, lasting physical damage, and the financial strain if you're unable to return to work. $680,000 – Our client fell from a defective ladder rung. He suffered multiple brain and internal injuries. $700,000 – Our client was involved in a work-related construction site accident in which a contractor's air compressor exploded. He suffered shrapnel wounds, including extensive tissue and muscle loss. $1,100,000 – Our client was operating an overhead crane when the crane hit a live wire, electrocuting him. He suffered electrocution injuries to his hand and arm.